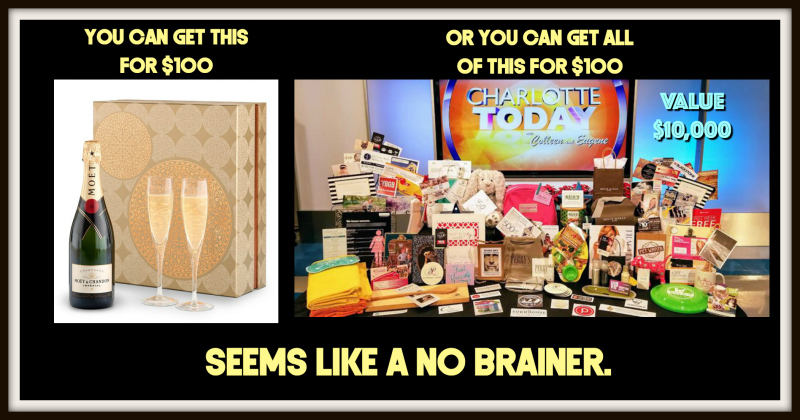 ​​Instead of giving a bottle of wine or one single gift card you can now spend the same amount and give thousands of dollars worth of gift cards, complimentary services and products from the BEST businesses around Charlotte. Deliveries start at only $100! Luxury, Custom Built Gift Baskets available for all occasions! Raliegh, Miami, NYC, Los Angeles, Dallas, Atlanta, Charleston, Houston and More !